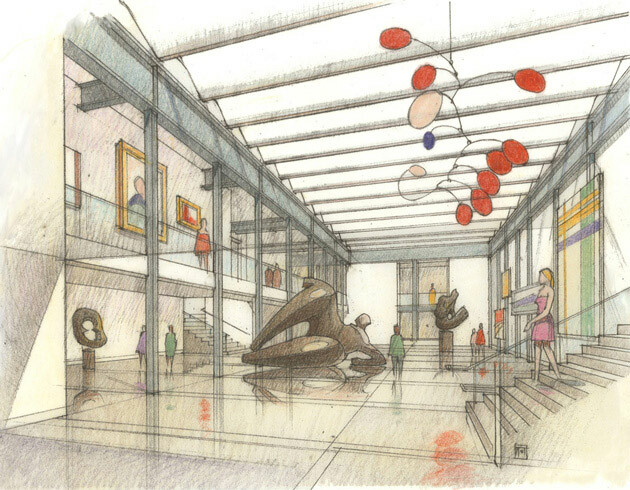 Lancaster’s downtown redevelopment, which included efforts to bring more pedestrians and activity to the main street, prompted the relocation of their art museum to an existing 1950s building in the City’s downtown. The new design expands upon the current museum’s program by adding retail and cafe space and providing a certified level of exhibition space that can accommodate both future acquisitions and temporary exhibits. In addition to the exhibition space, the 16,000-square-foot building will provide educational lecture space, collection storage, offices, additional meeting rooms and community event areas. 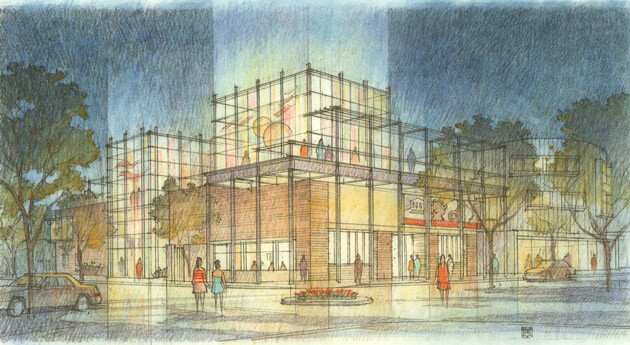 The new design adapts the existing building shell and adds additional square footage to the upper floor, creating a modern beacon for the main street. Creative lighting will illuminate the building at night. A new steel canopy and trellis wrap the existing building, updating its appearance, and a glassed event space with views of the nearby mountains is added above. The balconies and terraces at the roof level will increase the opportunity for community events, while the new building and vibrant space will increase the community’s access to art.